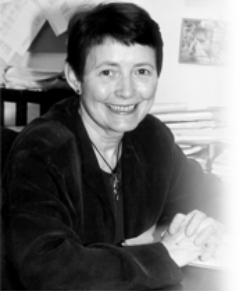 The Lucas Scholar Fellowship (LSF) was named to honor Carol Lucas, a former chair of the BME department at UNC. The LSF is an intensive independent research program for outstanding students in Biomedical Engineering. One goal of this program is to encourage interaction between UNC and NC State through undergraduate research. Undergraduate candidates can apply from either UNC or NCSU. Scholars work over the spring, summer and fall semesters (see timeline schematic below). In the spring, the scholars become familiar with lab techniques, background research and other important aspects of the research project, formalize their research proposal, and receive approval for BME 498/BMME 495: Undergraduate Research in BME. They work full-time over the summer are are given a stipend funded by the LSF and matching funds from the mentor. In the fall, Scholars complete the project, write-up results, and present their work to receive BME 498/BMME 495 credit. Since spring of 2011, 13 NC State students and 8 UNC students have participated in the program. 1) Identify 2-3 faculty members from the ‘Contributing Mentors’ list below that you are interested in working with. To ensure the best match of students and mentors please rank your mentor choice in the application. 2) Have a BME faculty member nominate you for the Lucas Scholar Fellowship. Faculty at UNC and NCSU may nominate students from either campus by emailing one concise paragraph describing the merits as to why you should be considered a competitive candidate for the Lucas Scholar Fellowship. Email nomination here.